Client satisfaction is a top priority at Crystal Lake Veterinary Hospital. Our staff takes great pride in providing every pet with the high quality veterinary care and treating each pet like they are our own. We believe that testimonials from other Crystal Lake pet owners are great ways to know more about Crystal Lake Veterinary Hospital. Click on any of the links below, find the option to "write a review" (you'll most likely have to register with the site first), and let us know what you think! It's that easy. Click on the Crystal Lake Veterinary Hospital box to leave a review on this page. Reviews will be approved and posted by our staff. "You have been taking care of my dogs and cats since I moved into the area in 2002. I am very happy with the care you have given them. My dog, Martin, loves coming to visit. My cat, Mimi, not so much." "My dog has always received great care at the Crystal Lake Vet. Both Dr. Nick and Dr. Bemis are excellent!!! The assistants and support staff are wonderful and always make a connection with the dogs and their owners / families." "Dr. Clement was very thorough and gentle with my older cat. I appreciate the care." "Always concerned care. Always treated as an intelligent pet owner. Pets treated with kindness and care. Never disappointed with any staff member." "I love this facility. It must be nearly 20 years now that I have been going there and they are absolutely amazing in their values and the quality and depth of veterinary care. They have extended the lives of my menagerie of dogs by years!!" "We have always had good experiences at this vet office." "You can tell the doctors truly care about their patients. They always listen to what my concerns are about my pet and they thoroughly explain to me how we'll go about addressing them. Will always continue to recommend them to my family and friends!" "I always feel comfortable that the doctors and staff will take care of my pets in the best way possible. Have been going to this vet for years and will continue to do so." "Courteous staff, and Dr. Tina is exceptional in that she listens, explains very clearly, and she cares and is empathetic for her patients. Thanks to all!!!" "Extremely knowledgeable and trustworthy Doctors. Staff is always friendly and professional." "Perfect score for my vet." "Been taking our dogs here for ten years. LOVE Dr. Nick. He saved the life of one of our girls twice. Can't recommend him strongly enough." "Perfect score for the doctors and staff." "This has been the only Vet that actually seems to care and is compassionate to Penn's needs. Also, has been the only Vet that hasn't tried to sell us something more than we need." "Best Vet in the area. Been taking my dogs and my cats here for most of their lives. Always quick appointments, extremely friendly and understanding staff as well as doctors. I feel my animal are safe in their hands which is alot to ask for. We love Dr. Nick and so do our beloved animals." "We always experience terrific service at this vet." "Great place! I highly recommend Crystal Lake Vet." "Staff is so friendly and it's clear Dr. Bemis has such a caring heart for animals. My three dogs (Allie, Lily, and Jill) are like my kids and I trust that they are in good hands. I wouldn't go anywhere else. You can trust that the upfront staff will find appointments easy for your schedule and they are so very nice when you arrive. And the most important thing is that you can trust that your dogs' health is number one priority and that is a huge relief as a pet owner." "The staff was friendly and helpful. They clearly love their jobs and take great care of the customers both human and furry. Thank you." "In and out in a reasonable time. Very clean office. Nice staff." "We are longtime customers and fans of CLVH. We've been bringing our pets to this hospital since 2003. And, we plan on staying with them because of their high quality service." "We are absolutely grateful for the kind, caring, intelligent and highly professional veterinarians and staff at Crystal Lake Animal Hospital. Back in September, our family began a really tough journey with Dr. Tina Bemis when she diagnosed our beloved doggie Sarah with diabetes. Our lab mix Sarah was dehydrated, vomiting and staggering on the day we brought her into the office for the first time. Her condition had deteriorated quickly that day. We were truly scared that this may be Sarah's last day. Dr. Bemis was calming and professional from the very beginning, as she began to diagnose our sweet Sarah. Although we were understandingly devastated and crying in her office, she took the time to calm us, educate us and also give us hope. She made us understand that having a diabetic dog would be OK. She assured us that she would be there every step of the process to educate and aide. Dr. Bemis is trustworthy and smart. She made us feel supported and knowledgeable about our Sarah's condition. She not only trained us in easy to comprehend terms about diabetic dogs, but also made sure my 12-year-old daughter was part of the learning and training. Just today, we started to feel that Sarah may be starting some vision issues. We called the office and unfortunately, Dr. Tina was not in. We have come to trust her and so we were nervous to take an appointment with another veterinarian at the practice. We decided to take a chance and book an appointment. We just got back from our appointment with her partner, Dr. Nick. Jackpot again! We encountered another super kind, educated, reassuring and honest vet. We have had a couple of disappointing experiences with other veterinarians such as unnecessary medicines, procedures and overselling in an effort to possibly make more money. Both Dr. Tina and Dr. Nick discussed options for care in categories of most expensive option, mid-price option and least expensive option. They discussed the pros and cons of each choice in the decision. We never felt that awful feeling that we were horrible people if we didn't choose the most expensive option right from the get go. We were able to weigh out pros and cons while considering our family and our budget. We felt completely educated and informed with all options. This practice is so wonderful!! We feel that they are truly good people...kind and honest. Dr. Tina and Dr. Nick are in the business of helping both animals and people. It turns out Sarah is going to be fine, but thank you to Dr. Nick, Dr. Tina and the Crystal Lake Veterinarian team. We feel reassured. If you are looking for a veterinarian for your pets...We would recommend Crystal Lake Animal Hospital 100%." "I am confident that my pets will get top level care from the vets at CL vet hospital." 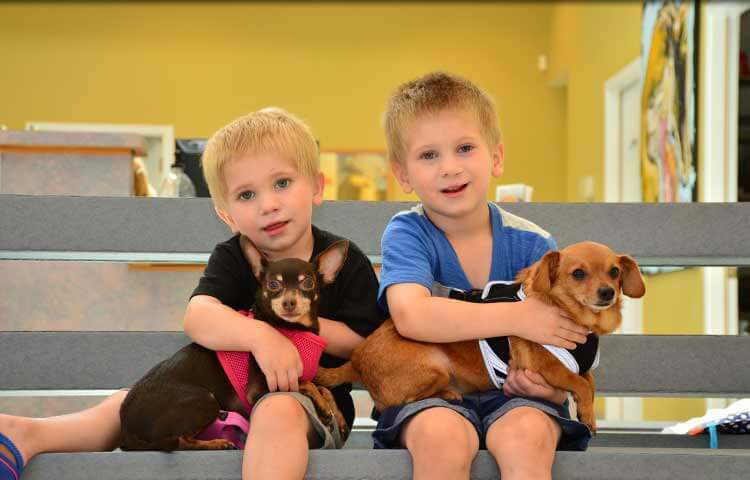 "We have been going to this vet for years and we would never consider going anywhere else. Thank you for continued great service." "Dr. Bemis is an incredible doctor. She is very knowledgeable and compassionate. I highly recommend their veterinary hospital. All of the staff is wonderful too. Thank you very much for the care you provide for our beloved furry family member." "Fantastic staff!!! Dr. Tina is the BEST! She really cares about the animals and is very knowledgeable!" "Dr. Tina always takes the time to answer all of my questions and to reassure me. She is genuinely concerned about pets and their owners." "Everyone there understands how important Pudders is to our family and he always gets the care he needs. The staff always takes time to answer our questions." "Five stars for this hospital." "Really good service and care." "Dr. Tina is a very compassionate veterinarian. She listens and is heartfelt. 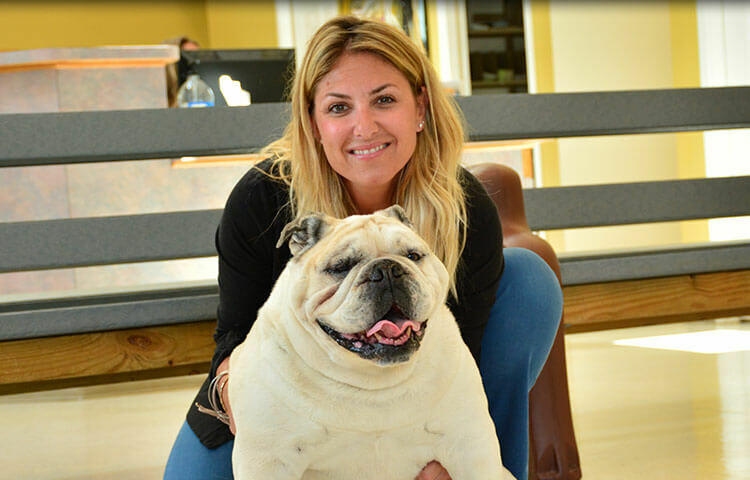 I feel she truly loves what she does and sincerely cares about our pets." "Best vet we have been to." "Doctors and staff are friendly and capable. We appreciate their good service and compassion." "Friendly, caring staff. Doctors are wonderful with our pets and with us as owners!!!" "Caring people providing excellent service!" "Everyone from the staff to both vets are so friendly and compassionate. This visit was just for a nail trim but in the past when I have seen Dr. Nick for other issues, he is very knowledgeable and really cares. He is the best vet in the area." "Our whole family loves this vet." "My dogs have been patients for years and I love all of the staff. Not only the way I am treated, but more importantly the way my dogs are treated. Everyone in the hospital is compassionate." "Everyone at the clinic has always had the best interest of our pets health and care. Thank you." "Dr. Tina is the best!!! She is very caring to my fur babies." "I recommend Crystal Lake Vet to all of my friends!" "There are many reasons why my family and I have been going to the clinic for more than 25 years, the main one is trust! Our dogs are part of our family and we know with Dr. Nick and Dr. Tina and staff that they are in the best hands." "They always take care of all of our concerns." "Dr. Tina and Dr. Nick always answer any questions I have and I never feel that we are being rushed to get in and out. Also, I am very happy with the care and follow-up that we had after Daisy's recent surgery. All of the staff is always friendly and welcoming." "Staff was courteous and concerned. Explanations were satisfactory and all questions were answered." "Five stars -- a perfect score for this vet!" "I have been to many other vet hospitals. I go off of how my dogs act toward the DVM. All three of my dogs absolutely love Dr. Tina!!! If they love her, then so do I. They love her so much, she can even kiss them on the nose. That is PRICELESS to me. XO"
"Both vets are excellent at explaining treatment for our pets and why they are used. They always give alternatives, when needed. Always answer any and all questions!" "Tina is the best! She answered all of my questions. I rely on your hospital's experience to keep my lovable pets healthy. No one there ever tries to sell me more services than absolutely necessary. It's a good feeling to walk in and the staff loves my Charlie and Simon almost as much as I do." "Thanks for a great vet experience for both me and my pets." "Thank you for being so amazing with our fur babies, it truly means alot!!!" "Dr. Tina is very compassionate and caring. She loves our Leo as we do! We feel comfortable with her and always gladly accept her treatment recommendations. In his own way, our Leo trusts her as well." "Dr. Nick is great, as is the rest of the staff. They really care and do their best to provide top shelf care." "I have always felt confident that your advice and care were of the highest quality. I always feel that Dr. Tina truly cares about my dogs." "New patient and they got us in on the same day! Impressed with the facility and how well they treated both me and my dog while there." "Dr. Tina is always amazing and caring toward my dogs! During my most recent visit, there was an emergency surgery in progress, yet we were still seen for our routine appointment within a reasonable time frame. The clinic is always clean and the staff is always friendly. I recommend Crystal Lake Veterinary Hospital to everyone!!!" "For over 15 years, Dr. Nick and his team have taken excellent care of our 2 dogs and 4 house cats. They have provided great service from when we first adopted our pets through their peaceful departure. Highly recommend!!!" "Hands down Dr. Nick is the best Vet in Crystal Lake and McHenry County. He explains everything to me in detail. And, I never walk out of there not knowing what my dog needs to heal and feel better." "For the first time I felt like I wasn't being pushed into the more expensive option for the benefit of the Vet. My Stella was put first, and I really liked how Dr. Nick explained everything and more!" "We always have a great experience at Crystal Lake Vet. Doctors and staff are so good. Thank you." "We love coming to see Dr. Nick and his staff. They are always so friendly and helpful. Dr. Nick is always giving us great advise on our pets' diet and health. He's great about explaining how to keep them happy and healthy. I recommend Crystal Lake Veterinary Hospital to everyone I know!" "We have been to several vets over the past 15 years. We finally feel like we found the perfect fit with CL Veterinary Hospital! Dr. Tina took the time we needed to ask and answer our many questions!" "You have the most caring staff of professionals I have ever met! Many thanks to you all!" "This was the best vet experience I've ever had. In a concerning time with one of my pets, it was so very helpful to have Dr. Nick take time and really explain what was going on and what my options are with what we know." 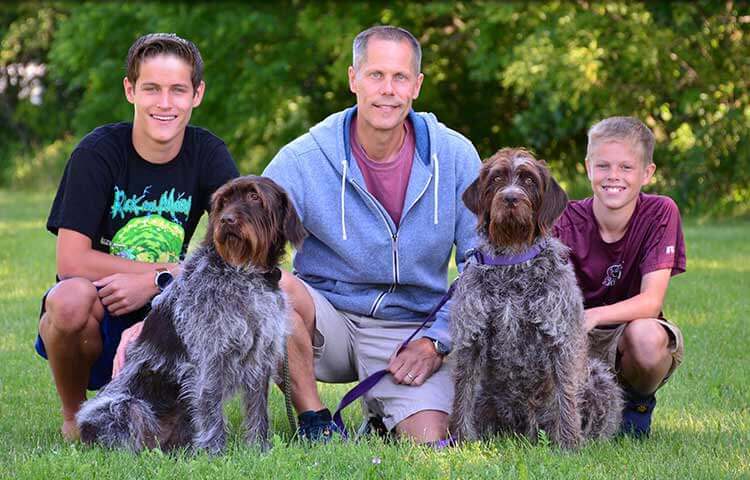 "We have taken all of our pets to Crystal Lake Veterinary Hospital for over fifty years." "We consistently have positive experiences at this vet." "Several years ago, Dr. Nick advised us not to have our cat declawed. I appreciated him putting her well being over the surgical fees. The staff always shows that they really care about our pets." "Five stars from us. Our pets really like going there." "I've always been treated well by everyone there, and my cat likes the Doctors!" "Very friendly and accommodating. The Doctor treating Chloe listened to my concerns, I was impressed." "CLVH is awesome all the way around. We have never had a bad experience from puppy visits to seniors crossing over to Raindbow Bridge." "I was extremely pleased and grateful that I took Figaro to the best Vet in McHenry County. I would highly recommend Crystal Lake Veterinarian Hospital for those who love their pets." "Five stars! I've had at least 30 cats, all mixed breeds. This time I did extensive research about Russian Blues on the internet. I paid the price and now Charlie and Simon are part of my life. They are very smart. With the fabulous service at CLVH, my cats are sure to live long and healthy lives." "Dr. Bemis was fabulous! She listened to all of my concerns about Cabo and offered me several options. I was so confused about what to do, prior to arriving. I am optimistic that everything will settle down for Cabo. I will be changing to CLVH for all of my pets." "This is an excellent veterinarian service. We have brought our pets here for years and will continue to do so." "Great place. My family and my pets love going to this vet hospital!" "Always professional, knowledgeable and compassionate at CLVH. Wonderful treatment! The whole staff is terrific! That’s why our many pets have been patients for 30 years." "Everything was great! Thanks for your help." "Fantastically great place to take my dog! Service is excellent." "Good caring people ... taking their knowledge to a higher level. What more do we need?" "Just love Dr. Tina. She is always so good with our Ginger." "The Doctors and staff are always great with our animals. They are always willing to help our pets and us in any way possible. Best veterinary staff around!" "Friendly staff, capable doctors, and nice facility. We will always take our pets to Crystal Lake Vet." "This is the best vet in McHenry County. Thank you for taking such great care of us and our pets." "We will be swtiching Chessie and Chuleta to your practice from this point forward. Completely worth the extra distance to bring them there. Thank you!" "My cat and I both got great service at this hospital. Thank you." "They make us feel like family!" "I am so glad that my neighbor recommended I try Crystal Lake Vet. We will be taking all of our pets to this office in the future." "Love Dr. Tina!!! I never feel rushed. She answered all of my questions and seems to truly care for animals"
"My pets and I had a great experience at this vet hospital." "Terrific staff, vets, and care for our pets." "We have had many vet associations. Crystal Lake Veterinary Hospital is on the top!!! The staff is super friendly and caring. Our first visit was for our Maxie. Maxie didn't make it back home. They have welcomed Mia our 11 week old Shih Tzu." "Our first visit to this hospital couldn't have been better. We will be returning whenever our pets need veterinary care." "The Staff has always been great and the care for our dog is wonderful!!!" "Great vet hospital. Thanks for all you do." "Dr. Nick, as usual, is knowledgeable, and informative. All of the doctors and staff are a pleasure to associate with. Thank you on the behalf of both Harley and Pepe." "Everyone at CLVH is so friendly and down to earth. I have several local vets near my house but opt to drive to CLVH for the great service!!! Getting appointments is simple and the prices are competitive. My mastiff ENJOYS going to the vet -- WOW!!!" "The staff is awesome, helpful, and friendly -- ALWAYS!!! The Doctors are knowledgeable and VERY KIND to our pet!!! THANK YOU!!!" "We have been going to CLVH for a little over 19 years. We would not trust our pets with anyone else. The Vets and staff at CLVH are knowledgeable, caring, and sensitive to all of our pets needs as well as our needs as pet owners." "Dr. Tina spent time explaining what could be possible with Wrigley. She got down to Wrigley's level. He was comfortable with her and at the facility." "I have used CLVH for at least 40 years and every Vet has been knowledgeable and empathetic. I'll continue to use them as long as I have a pet." "My pets and I always have good experiences at this hospital." "My pets and I had a great experience." "I appreciate the ease of making appointments and knowing that everyone there is focused on the well-being of our pets." "Terrific place. Everyone is friendly and caring. The Doctors take time to understand and help." "Great staff and great Doctors! My pup, Butters, is always happy to see everyone there." "Friendly, courteous staff that acknowledges you immediately and engages in conversation. Thank you!" "We have been seeing you guys since the old building on Route 31. We are still extremely pleased with the staff and the service." "Five stars for this vet hospital." "This place is awesome. Friendly staff, competent doctors, and everyone seems to really care about your pet." "Dr. Bemis is great with Jada, even though she hates getting shots and having her ears checked!" "This facility is full of kind staff and veterinarians. My kitty does not like vets, and I really like how they worked with him (kindly and patiently). It is obvious that they genuinely care." "This veterinary group is the best in Northern Illinois! I would not trust any other doctors to treat my pets." "Dr. Bemis is very knowledgeable and takes her time to explain situations. She is extremely compassionate and understanding!" "We really like CLVH. Doctors and staff are great!" "If you are looking for top notch professional care, five star Doctors and staff, honesty, compassion and first priority toward your pet -- this is the place!" "This is a five star vet hospital." "We love this place and so do our dogs. Excellent service always." "We had an awesome experience at Crystal Lake Vet." "Everyone at Crystal Lake Vet is great! Dr. Nick is the best. He took great care of my deceased cat, Gemini, and now my new cat, Alfie. Today I saw Dr. Tina to trim Alfie's nails and she did the best job ever. I really trust them!" "My first visit with my new puppy and it was very positive!" "Great service and great staff! Thank you." "Everyone was extremely nice and helped make a scared dog feel comfortable." "Doctors and staff are exceptional!!!" "Great hospital, great staff, and great Vets. My pets love going there." "We love bringing our pets to Crystal Lake Vet. Great service all the way around." "You guys are all so friendly and always so helpful with questions I might have." "Love the staff here! Love the Docs!" "CLVH gets 5 stars every time we visit!" "The entire staff and Dr. Nick are very nice and extremely helpful. Dr. Nick is awesome and makes sure you understand everything." "We have taken animals to Vets for years, and CLVH has been the best veterinary hospital we have ever been to. Eveybody is so nice; it is a pleasure to go there." "I have taken my dog to another Vet and it wasn't until I came here that she actually started to get better." "Five stars for Crystal Lake Vet!!!" "I have had nothing but good experiences with CL Veterinary Hospital. With 2 cats it is sometimes hard to find a vet that treats them well and tries to keep them as calm as possible. Very helpful." "I came to CLVH with a pup that has a somewhat complex medical issue that has baffled two other veterinarians. Dr. Nick talked to me very knowledgeably about the issue and outlined a game plan that I feel will address the problem. I am so relieved!!!" "We trust all of you!!! Many thanks." "Love Dr. Tina! She is a great person. A+ all the way around." "Great Staff and Vet visit! DVM took her time and made some recommendations without forcing it on us. Staff always looks forward to seeing Rucca." "We have been taking our pets to CLVH for many, many years and have always been very happy with the care we receive. Dr. Clement was kind and oh so patient with our cat's peculiarities during our recent visit. Thanks!!!" "You were all cheerful, caring, and competent. We always feel that Guido is in good hands. We noticed that you all treat every client and patient with the same sensitivity." "Your facility and your staff are the greatest! Teagan always looks forward to her visits to CLVH." "Five stars for Crystal Lake Vet. Thank you for everything you do." "Love the care and compassion"
"The veterinarian took the time to answer all of my questions! Very good experience with my very first puppy!" "Thanks for the Petly page, it is great. It made me cry when I looked up Olive and got "the rainbow bridge". It was beautiful and I hope it's true." "I was so happy with the care provided for Reese! We were seen quickly and provided with great care. Thank you all so much!" "My pet loves to go to the vet and the care he receives is excellent !" "Dr. Tina and Dr. Nick are kind, compassionate, and highly capable vets. The office staff is also excellent. We have had many visit because of medical problems with a cat, and I would not want to have any other vet clinic caring for our animals." "Dr Sherry has great techniques because she listens to the body,soul and spirit of my cat. Delilah could not walk without pain and now she is walking a lot happier than before she went in." "Always find a way to fit in an appointment. Call back response is quick. Answer my questions." "Dr. Tina is great with Cooper! She helps us understand and always explains the situation. Thank you for being kind!" "I especially like the way Dr. Nick explained everything to me, as he always does. I appreciate that." "Everyone is so kind and really care about the animals." "I have always felt welcome in this hospital. My dog and all dogs I see are all treated as if they were the staff's own. It is clean professional and very close to me home. Setting an appointment is very easy and usually always available." "I feel that my cat is important to everyone at Crystal Lake Veterinary. They always focus their attention entirely on her during visits and treat her and I as if we are honored guests there. They take good care of her and I rely on their expertise." "I have taken my pets to this hospital for 30 yrs. and always received compassionate care." "I have known Dr. Nick for over 25 years. He has always been kind, caring, considerate and extremely knowledgeable. i never feel rushed when I take my dog to see Dr. Nick." "Excellent medical care from wellness to emergency situations. Very clean, comfortable facility and a welcoming staff." "Everyone is always friendly, from the reception area, grooming and Physicians. I always feel like Gracie is well taken care of." "| Always feel that we have compassionate and complete care for our pets." "I take great comfort that my pet was getting the best care by knowledgeable the professional and caring staff." "Knowledgeable, friendly and helpful staff. The veterinarians always take the time to listen and answer all your questions and concerns." "Very attentive with my cat (Max) - for the third time. He is very happy again - maybe not with the food but he is very finicky. He will get use to the new flavor - I hope. That's my baby boy Max!" "I feel that there was a good dialogue to discuss concerns and options for my dog’s treatment." "Our pets have been patients at Crystal Lake Vet. for nearly 30 years. There is a reason we keep coming back...all the folks there, doctors, techs. and front desk associates, are TERRIFIC! They treat our pets as if they were their pets." "Dr. Tina Bemis is wonderful!" "Very friendly staff. Everyone has always been readily available to help and answer all questions." "We have been bringing Murphy to the Clinic for all of the years we've had her (9.5 years) and she is well cared for at the Clinic remains healthy. The staff always seems to remember her and calls her by name and she is willing to go with them." "Dr Tina Bemis was again, on top of her game! Helping us with a stray kitten we caught before the bitter cold hit. She has always been so caring for our cats. She goes above and beyond to make sure your pet is treated like her own! And let's not leave out the staff, they are there to make sure your visit is pleasant and get you in fast. Oh, and as for the stray, she is now part of our family, and another happy patient." We have ALWAYS received EXCELLENT care from the doctors and staff. We are thrilled to be close to the hospital once again. Thank you! Always comprehensive and detailed quality care given by all staff. I am confident in the care that is provided not only to my two cats, but to me as well. Crystal Lake Vet has always been great to us! We always feel confident knowing that Honey is well taken care of. From the office being clean, to the staff being friendly and compassionate, we are very happy here! Great friendly service. It was apparent the receptionist and techs genuinely cared about my puppy. The place is nice, staff are friendly and the Vet knew a lot of information that helped where we are at now. My dog seemed to be very comfortable even if it was his first visit. He kept wagging his tail, even after his shots! Compassionate care and hands on with my dog. Great staff. Dr. Nick always listens to our concerns and makes sure we understand what is going on with our dogs. All the staff is nice and very loving towards animals. We always get seen same day when we have an issue and we always get great care! 1st visit with 3 dogs. Drs took their time and explained theories and how it applied to my pets issues. I felt confident in their knowledge and abilities. Love all your staff super sweet and kind to our dogs. Dr. Tina knows her stuff very knowledable and generally cares about each one of our dogs. You can tell that they know and care about what they are doing. This was our first visit and everything went well. Everyone was very kind and helpful. We're still learning what we need to expect during visits too. Everyone is so friendly and makes me feel welcome. I normally arrive early for my appointments and i'm always seen promptly. I feel like they really care about my dogs. Clover and Holly are always treated well. They are certain to receive professional and friendly attention from the whole staff. We've been clients at CLVH through five dogs and over 25 years. We wouldn't consider anywhere else. The staff is wonderful and Dr. Nick really cares about the pets he sees. He never tries to rush through any appointment and will spend time answering any questions or discussing any concerns you have. Our family has been treated like family at Crystal Lake Veterinary Hospital since it opened almost 20 years ago. Dr Nick and his staff have always treated us and our pets with great care and respect. We wouldn't consider going anywhere else. The staff is always knowledgeable, compassionate and friendly. Thank you to Drs Tina & Nick, and their wonderful staff for the wonderful care they gave to my Sammy. The love you have for animals is undeniable. I asked a million questions and everyone answered with such patience and warmth. Wish people doctor offices were as caring. Thank you again. Thank you Dr Tina, for taking such great care of Brady. He feels better already! Love the excellent care we get! Everyone there is so pleasant,friendly, knowledgeable and caring and you know they are working from their hearts. This is the nicest and cleanest office and Lady is always relaxed with the doctors and staff. Everyone is outstanding!!!! Always caring and incredibly kind in tough situations. Can't even think about changing Vets and the practice. We think Kaners Doctor is wonderful. Very caring towards us and Kaner. Very professional, everything was explained clearly. Veterinarian was extremely nice and listened to any questions I had. Treated my dog with respect and care. I think you all know how I feel, but here goes. Thank you all for your compassion, concern, and for being so kind to us and our cats Sophie and Lily. We couldn't be happier with choosing you for our vet when we got our cats almost 7 years ago. Thanks for being there for us always! We were very impressed with our first visit. Dr. Bemis was very thorough and took time to explain the issue and treatment needed for our dog's ears. We will definitely be back! Thank you all kindly for your help with Goldie - the golden boy is doing great! We appreciate your time and hope you all have a wonderful holiday season! Team work...employee Susan Schulz is an example of cohesive team work! Dr. Nick was fantastic - the entire staff was wonderful. Dr Tina was amazing. She introduced herself nicely to my dog (with a treat too) and was very gentle with her. Dr Tina took the time to answer all of my questions and even told me why she thought what she did (when I touch here and she reacts a certain way it means this...). It was so helpful for me to understand not just what she thought but why. She was also patient with me and my concerns over the treatment plan. And she even noticed some of the things that were concerns to me that I hadn't mentioned yet. I left Dr Tina's office feeling that my dog was getting the best possible care she could get. I will definitely be back as Bailey needs care in the future. Thank you to Dr Tina and to everyone at the Crystal Lake Veterinary Hospital. Very friendly and professional. We are very happy with the care our pups recieve. We have been going to this vet for 10 years, Dr. Nick is the best! He truly understands our dogs! The doctor was amazing and took all the time i needed to ask questions and understand what was going on with Wrigley. Because of all of the above and the warmth and caring exhibited by all involved in the practice. We love Dr. Nick and Dr. Tina and the rest of the staff. You take good care of our baby and old lady. We are going to get a rescue dog so that Roxie will have a playmate because Olive doesn't play anymore. Thanks for all the good care. I'm old & extremely gullible! I therefore tend to believe Dr. Nick when I look into his warm, trusting eyes and am told that he reigns supreme among all animal welfare providers. Seems like a very good place to take our dog. Very clean and everyone appeared adept. Just to let you know, our Ike looked so handsome after his grooming! We would highly recommend Dr. Tina to anyone with a pet. She is compassionate and caring. We hope she works there forever! Great office - Great Doctors! Entire office and friendly, helpfule, kind, knowledgeable, and very professional. Love to come here! Extremely nice staff! Dr. Tina very sweet and good with frenchies! Stella is already feeling better! We love Dr. Nick and the whole staff at CL Veterinary Hospital. Our dogs are all treated with love, respect and concern. Great care!!!!! Thanks so much to Dr. Tina and the rest of you who were so kind when we had Mister euthanized this morning. I knew we were in good hands, and with people who cared. They know my dog and are considerate toward his needs. Staff is very friendly and full of good advice. The veterinarian I worked with was patient, friendly, and knowledgable. She wrote down all of the future vaccinations our puppy would need so I would know how often I would need to make appointments in the future. The hospital was very clean, too. Dr. Tina is a great vet. Very thorough and compassionate. We like her very much. Susan, even though it's been 3 years since we had to put our sweet Toby down, I want to thank you for comforting us during that devastating time. We still miss her very much. We love you guys. After seeing Dr Tina, Blarney is doing really well. He's eating 3 smallish meals a day - taking his probiotic, and his poop is more firm-almost back to normal. And we can tell he just FEELS better....He's singing with Mickey when sirens go by. As always-thanks to your whole staff who treat everyone like family. The care and handling of my deaf Australian Shepherd by Dr. Nick and his staff was fantastic She was there for an eye injury and Dr. Nick 's soothing words to her went unheard by her but, she felt them through his touch. She was comfortable as was I.
Vet Tina is compassionate,friendly and knowledgable. Very down to earth and practical in her advice. You can tell she loves animals! I always get wonderful care for my pets at this office. The staff is wonderful and the doctors are awesome. I have never had a long wait and have been able to get in to see the doctor whenever there has been a need. Best care ever! You have been our pet's medical practice for many years. We wouldn't go anywhere else. In my experience the staff were very kind, courteous and accommodating. They answered all the questions I had and I was in and out within minutes of my appointment. It was a good visit and I will be sure to bring my puppy Cooper back. Dr Tina was excellent with my dog. I was amazed also by the fact that my dog was so calm at the office. He is a good dog but has never been that good at the vet's office. Mickey and I had a very good visit with Dr. Nick and the staff, as usual, was just wonderful! I found the explanations and advice that Dr. Nick gave me regarding different concerns or questions about Mickey were very helpful and much appreciated. Thanks for the great care! Mickey just turned 10 years old so his healthcare needs have been provided by you for 8-1/2 years, since I first rescued him. Again, my heartfelt thanks. I can't thank you enough for fitting Bandit and me in on Saturday morning and for considering the difficult situation I face in getting him there. You were very busy, but I never feel that I am rushed during the appointment . Kudos to Dr. Nick and all the staff! I think the entire staff is professional and caring! They are very responsive and understanding of my pet's needs. They treat her with loving care! Great service and much kindness for me and my pets! Consistent good service, communication, and value for our pets, and we appreciate the Military/Veteran discount. Always appreciate the care and kindness. Very clean and friendly atmosphere. Great employees and friendly environment. You made a special effort to get me in promptly with my concern about whether I needed to put my pet down and gave some possible solutions. Dr. Nick was referred by my neighbor (Sue & Joseph H., and My cousin Marie Diongzon) and they are down the street from where we live..
Dr. Nick and staff, Everyone at CL Veterinary Hospital was very caring about Lady's well being and thoughtful about all of my concerns. I appreciate all you do, thank you again. We have been with this practice for many years. We love Dr. Nick, and Dr. Bemis. The front desk staff has always been courteous, helpful, and sympathetic to our situation, no matter the life stage of the animal that we are bringing in for treatment. It seems that every season there is a new kind of flea and tick killer on the market. The Dr. keeps up on the newest medications and explains the differences so I can make an informed choice. The staff and Dr.'s are great! Always have been happy With the service and level of care. We have been patients of yours for almost 20 years. Our dogs and cats have always been cared for and they feel loved by Doctors and staff. We have been coming here since we adopted our first dog 13 yrs ago. We had to put him down last year, which CLVH helped us do with dignity. The entire staff from the front desk to the doctor are always friendly, knowledgeable, and efficient. The staff and doctors are very nice and care about their customers and patients. The office is clean and big. C.L. Vet was able to get my dog Jack in within 10 minutes of me calling. Everyone was concerned for my dog as much as I was. I Love that the Dr sent links to my email, and I was able to research on my own time. Everyone was so nice. Always very professional and I'm sure my cat and dog are in great hands! Price was fair. I know teeth cleaning is not cheap. Staff was courteous and helpful. I always leave feeling the staff loves Jada as much as I do! Awesome job. Staff was friendly and considerate. They were understanding even though my cats' coats were in rough shape at the time of the visit. Very nice staff. We are scheduling a dental cleaning for our dog and the staff told us what all the fees might be and exactly what the cleaning will involve. The front desk was wonderful, and caring. The vet I saw was also wonderful, professional and caring. I am so HAPPY that I found such a GREAT practice. Great front desk, and great vet experience. Very pleased with my first visit. The entire staff have always been kind, compassionate, and professional throughout the care of our pets. Dr. Nick is honest, empathetic, and professional. We wish the medical doctors of this world were as caring, nice and spending as much time with the patient as the vets spend with the pets at your hospital. Dr. Tina is awesome!!! You are to be congratulated for the loving and professional care you give to our pets. - Gus and Patty (and Mako) P.
Our twenty years cat is alive today because of Dr. Nick. - Pat and Bill N.
The staff was kind and knowledgable. The doctor was fantastic with our min pin who is...well, a typical min pin. He listened to us, gave us feedback and suggestions without being condescending. This was by far the best veterinary experience I've had! I was in Tuesday with both of our dogs for their annual WellCare visit. Saw both Drs. They both did a wonderful job explaining everything to me. Very compassionate with both dogs, thanks! Thank you for the great service you provided for Pippa! Amazing service, knowledge, care of everyone from the staff in the front, to the technician, to the Drs. I have recommended this facility to many of my friends. We have known Dr. Nick for many years and believe him to be a great vet and a man of great character and honesty. His attitude is clearly passed down to the rest of the staff. The hospital always answers my questions. The Dr. was so sweet to my scared dog. Dr Nick was thorough and prompt. Closed the wound and treated Zeus immediately. After the procedure, Dr Nick called me and explained everything clearly. I have the best vet in the area! Dr. Nick was very thorough in his assessment of Atlas. He listed a bunch of possible causes for his problems, and suggested we start with the least expensive, least invasive treatment and adjust our plan as needed. My dog ate a sock. Brought him in, was seen quickly without an appt. Dr. Nick and staff were awesome, made my dog throw up the sock (something I couldn't do at home) and the charge was very reasonable! They saved the day for my dog and myself!! Dr. Nick, Sue and the staff always make me feel that they have the best interest of my pets at heart. Keep up the good work! I am so glad I brought my fur babies to you guys. Everyone was so kind, and helpful. Dr. Nick was extremely nice and knowledgeable as well. I had so many questions about my pet's health issues, and he took the time to answer them all! We just feel very confident to have our pets in the care of Dr. Bemis or Dr. Nick. Dr. Bemis prescribed medication and a special diet for our oldest dog that has kept her skin allergies under control. My pets have always received excellent care and the staff shows they truly care about my pets and their welfare. I love this practice, we hae brought our pets here since 1981. The vets are kind, compassionate & aren´t out to over charge their patients. Love, love, love everyone associated with this practice! Been a client for 20 years. Everyone is extremely kind & compassionate ( except Dr. Nick)...lol. Dr. Nick is the BEST vet & surgeon ever. Extremely knowledgeable & smart. Very highly recommended! We have been taking our fur babies to CLVH for years and appreciate everyone's ( staff ) care & concern . Thank you very much for being here for us . I have always been satisfied with the care that Dr. Nick has given Schatzi. He has always answered my questions and never rushed me. I feel that he has given my dog the best of care. The entire Crystal Lake vet staff goes above and beyond expectations. No matter what my concern (small or large), we are seen promptly. I can tell that they truly care about Jade(my dog). This is why I drive from 40 minutes away for great care! Good service provided. Like Amanda the groomer and both doctors. I've never had a bad experience with Crystal Lake Vet! We have been bringing our pets to Crystal Lake Veterinary Hospital for over 20 years. Dr. Nick once saved our dog's life with his early diagnosis of disease that is not common to our area. I have recommended them many times since. Dr. Nick and Staff are always accommodating and caring. They truly understand your pet is a "family" member. I would not trust anyone else with our pet. Dr. Bemis was very knowledgeable and told us everything we were wanting to know about our new furry friend! Thank you for taking such good care of Moses, he is healing quickly. I appreciate all the friendly staff and doctors that seem to put the dogs first and foremost. I'm glad I made the switch. I love you guys!! My dogs have always been treated gently, promptly, kindly, and professionally. I have NEVER had an unfavorable experience. Everyone was very helpful and made me feel very welcome. Prompt appointment when my dog has a problem. My dog recieves excellent care. CLVH has cared for all 6 of our Airedales. We could always count on being cared for whenever we needed it - and always getting the straight answers. Some good and some sad. We have told everyone we know about CLVH and how much we trust all of you! I have taken my dogs here since they were puppies and also a precious dog. I feel they have received top care always! Every person there is very friendly and very professional. I feel like the veterinary clinic was very thorough and was concerned about our pet and not the money part. Very knowledgable and caring staff! We called to bring our dog in after we noticed some issues and we were scheduled to come in the next day. I was very happy that we could be seen right away. CL and Dr. nick and his staff have been taking care of my family of dogs for 14 years. I would not think about going anywhere else! Everyone is friendly and informative! I really like you guys. You guys are the best! Dr. Nick always makes time for my questions. I appreciate his knowledge and professionalism and above all, I trust him. Excellent service, warm friendly staff, vet is professional, caring and knowledgable. Very, very pleased. We have brought all our dogs here since 1981, all the Drs have always given our pets wonderful care. So much compassion during our sad times of letting go of a pet also. I'm sorry we live too far away to use you as our regular vet, but you were wonderful and if anyone in McHenry/Crystal Lake ever asks us, we will speak very highly of you! Thanks for everything! The staff is very friendly and is knowledgable and really cares about my Pet! Dr Nick and Diane are wonderful! Dr Nick does a wonderful job working with my dogs Spirit & Queen. I can always count on him to answer my questions and gently correct me in animal care. Even though it is quite a distance for me to travel, everyone is extremely helpful and friendly. Amanda has been grooming Ike and Oreo. She is great with my dogs and grooms them to my liking. She is the best. The staff is also very friendly and if I ask a question that they are not sure of, they find the answer for me. Great job everyone ! CLVH staff is family to us and to Honey. Love you, love the service, we will always be a Customer! I just wanted to take a minute and write a quick note to your practice. An apology note, if you will. Our dog Mooney needed his shots and we "price" shopped. Saved ourselves about $35 bucks. I am writing in hopes that you will promote this to other patients and save them the time and money my husband and I spent by thinking we were saving money......it was a disaster. The staff at the "discount" rated super store were inexperienced and we did not get the attention and care we have always gotten from you guys and Dr. Nick! I will never go back and won't even bother to write a letter. We are so sorry and won't ever stray again. The savings we thought we were getting was actually compromise in care. Dr. Nick was where we brought Mooney back to when the other guys couldn't figure what was wrong after his shots. Dr. Nick, you have had two of our pets now and we promise we will never price shop again. Coming to you ensures, experience, knowledge and superior care. My pet is worth it! In the long run we spent way more than if we would have just come to you! Put me in your newsletter! people who love their pets and their wallets need to know. We were very impressed with how clean and updated the facility is, and extremely happy with how our kitty, Liam, was treated by Dr. Tom and the other staff. I learned things about cats that I had never known about cats before as well. We feel respected and welcome at every appointment. Dr. Nick has our utmost trust and confidence. I feel they provide excellent care for my dog. The doctor and the staff are knowledgeable with my questions and concerns. I have been bringing my dogs there for 15 years. Dr. Bemis is great! So helpful and very compassionate. The ladies up front are very knowledgable and kind as well. Just recommended Crystal Lake Veterinary Hospital to a friend! Dr. Bemis is both knowledgeable and personable. Both my husband and I felt that she answered our questions fully and really seemed to care about our dog. She has what all doctors need - a "good bedside manner." I enjoy working w/Dr. Tina-she listens and responds appropriately w/solutions. While I have had many pets and understand illnesses, I am not a doctor and value treatment discussion/outcomes. As our vet, she is a great partner in our pets' health! Dr. Nick took the time to answer all my questions and concerns. He also did a follow-up call the following Monday with some additional information. We absolutely love your practice. You take excellent care of our animals and your services are top notch!!! It brings tears to my eyes knowing how much compassion and care you give both the animals and the families. Thank you!!! Your staff is like family to us and we are forever grateful. Thank you so much for caring and helping Lady. Dr. Nick is truly a great person and compassionate. I am thankful to work with such great, caring people. Thank you all very much for always taking great care of Lady. Have a great day! Dr Nick is awesome!!! Takes great care of our 6 dogs. Staff is very knowledgeable and professional. Great team, I highly recommend to anyone who has a pet to use their medical and grooming services..... Truly a 5 star facility!!!! Thank you..
Great staff. Dr. Nick has always been upfront and up to date about my pet's health. Really like the fact that procedure fees are given prior to any care. The Doctors and Staff were EXCELLENT! Truly, all of you are loving, caring people and we are happy to have CLVH care for our smaller family members. We would never place the safety and well being of our pets in anyone else’s hands! For Honey and Connie, God bless all of you! We LOVE Dr. Sherry!!! I have recommended her to many! She is awesome! Thank-you so much for your warm thoughts concerning our losing Whisper. She was such a special dog, as was her sister, Flash, who died in March of last year. To have had these 2 dogs since 1995 was a real blessing. I still remember bringing them to your old facility on IL 31 at 176 to have them spayed and get all their shots as puppies to make them legal. Our daughter was 8 years old and now is 26 !! We had so many good years with them. The doctors at Crystal Lake Vet hospital always took good care of both Whisper and Flash and I am sure your efforts and care added to their longevity. From the front desk staff to the veterinarians, everyone here is friendly and makes the visit a pleasant experience. Roxy started to feel better 24 hours after her visit. Excellent service. We just switched to this practice from the "other" veterinarian in town, and all I can say is WOW! Night and day experiences. Really wished I had started with you earlier. Thanks so much for the sympathy card for my Mika...you guys made an always difficult time/choice as easy as it possible could be...that is appreciated. We always get the best service/treatment from everyone at the Crystal Lake Vet Clinic...thanks a lot! The veterinarians and entire staff are so nice and caring! They answered all of my questions, and we felt very welcome by everyone. Highly recommended! Just came in to pick up medication, but as always was treated well. I think this place really cares about my pets. Everyone is polite and it is very clean - no animal smell at all. A good place to bring your furry family members! The doctors and staff are very caring and I would definitely recommend bringing your pet to see Dr. Nick. The staff is always fantastic when it comes to treating Daisy! Dr. Nick and his staff are truly caring people. We appreciate everything they do! The staff members here are very kind and caring. Everyone took the time to answer my questions, and I would definitely recommend Crystal Lake Veterinary Hospital to anyone. Dr. Nick is fantastic! He is honest, compassionate, and trustworthy, and we are so glad that we have Jazzy in his care. Dr. Nick and his staff are truly caring people. We appreciate everytihng they do and have done for all our dogs. We have brought our pets here since 1981, love this practice! The receptionists are always outgoing, friendly, and compassionate. I like how there are two sides to the waiting room, cats & dogs seperate. I would like to thank Dr. Nick for the patience, time and attention he shows Peanut when we come in to visit. She's 14 years old and I attribute that longevity to the care she's been given by Dr. Nick and the staff at the Crystal Lake Veterinary Hospital. I can't tell you how much I appreciate the time that Dr. Nick spends, not only treating Peanut, but also in educating me as her owner in her various health issues so that I can give her the best possible home care. Thank you all for loving what you do, it is evident in your care of your patients. I think your facility is very well staffed and everyone seems to be real animal lovers. It is also very clean! I can't ever smell any pet odors at all. These two things help to make my two cats (who have a dim view of car rides and doctors) as comfortable as possible. Thanks! Please convey my gratitude to Dr. Nick for his time, expertise and support while we navigate this health issue with Maggie. Tom, I can't thank you enough for coming back to put Hallie down. You have been a good friend and a great vet. Maybe we can take you, your wife and staff out to dinner one night as we try to get used to being sans dogs. Thanks again. It is always very pleasant to visit your facility. THe staff and even the patrons are very friendly. Thank you for for providing such a caring and friendly environment. It's nice to get Molly treated and groomed by a staff that seems to love her as much as we do! Thank you ALL very much for being there for Little Kit. He is doing quite fine - back to eating mostly normally, and feeling much better than he has in weeks. The extra care (getting the matting out of his fur and the nail clip) was also very much appreciated by me. I just could not get him to let me get those mats out!! Thanks SO much for that. I would truly like to thank all of you for the genuine concern you always show and the individualized care you each give to us. Love the staff here at CL Vet hospital. Great people who really care about the animals they take care of. I have never been happier with a vet clinic. The staff is wonderful and Dr. Nick is amazing and very caring. Great with my dogs and that is very important to me! Wonderful Staff! It is a great clinic where everyone is knowledgeable and willing to answer questions and concerns. Running a rescue, I have used many vets and this one is the BEST! They are always happy to see us and very sympathetic whenever Topaz is ill. They seem to really care about my dog. They take the time to answer all my questions. They are not in a hurry to run to the next appointment. Everyone there treats you as more of a friend than a client. I have often recommended CL vets to other people. Topaz is healthy and happy because of the treatment we receive at CL vets. They discovered her thyroid problem and keep on top of it with blood tests every year. We are so happy with them. I didn’t have to wait, I was in and out. Everyone is always so nice and caring! You can tell this isn’t a job, they love animals. Front desk staff is always very nice and helpful. Vet tech that sat with Daisy in the car was really great and appreciated. Dr. Nick was fantastic! The whole staff was wonderful and very caring, it makes me proud to have such a fantastic vet office in McHenry County and so close to home. I’m proud to be able to recommend such a fantastic place to help both owners and especially pets get the help they need. Dr. Nick is extremely knowledgable and one of the only doctors I would trust with my dog. The staff are all friendly and caring. Great service and pet care. Thank you all! Kelly did a beautiful job grooming Murphy. My experience was great! My dog was in good hands and we love the staff and their knowledge for my pet's needs. Alexa was very helpful and very nice too!! As you all know we have been coming to see Dr. NIck & staff for many years. You have treated our beloved Budley & Toby with dignitity until the end. Now you are treating our sweet Sasha. We have been so blessed to have such a compassionate vet & staff to meet our pet's needs during good times and not so good times. We appreciate your caring manner towards our precious "canine family." Thank you! I just wanted to thank all of the staff for the care they showed to Rory & I. You helped to put my mind at ease, & to help alleviate Rory's discomfort. I would like to especially thank Dr. McVey for squeezing us in Tues. (4/2/13). I was terribly worried, & she went above & beyond in her concern & care. Thank-You for seeing us today Dr.Nick, and the great care you've given to Toby and the rest of the family. What am I going to do in Philadelphia without you guys? Quick, everyone pack up and move to Philly with me, so I don't have to find a new vet! PS. Leto says thanks for all the wonderful care over the years - he's looking forward to stopping in and seeing you all at Christmas, and maybe even getting a Christmas bath with Amanda if we're back in time! Tell her to keep a spot open for us! Thank you for taking such good care of Miss Bea during and after her surgery. Great care for your pet. Confident and caring are two words that come to mind when I think about why I love Crystal Lake Veterinary Hospital. Dr. Nick and his staff want the best for their clients and their pets. I rest assured, knowing that my pets are receiving the best possible care. The doctors are confident that they are recommending treatment options that will only serve to enhance our pets' lives, so that we can focus on the love, affection, and enjoyment that comes from having content pets in our home. We bring our cats for their routine care and vaccinations. When we want to adopt a new pet member for our family, we always come to CLVH to have our new pet checked out. We had some pets that required extra special care due to chronic illness. The doctors are mindful of treatments that will give the best care while also keeping in mind the lifestyle and financial impact for the owners. Let's face it, we love our pets and want the best possible care for them. We consider our pets to be members of our family, and we feel like we are family to CLVH. We know that we can call whenever we have a question, or concern. The staff is always ready to help! Everyone has been so helpful to us over the years. Dr. Nick gave us 9 extra years with our cat Amy. We wouldn't take our girls anywhere else. I always feel comfortable knowing that my dogs will receive excellent care due to the expertise and experience of Dr Nick and his staff. They always provide a warm, caring and professional atmosphere with attention to details. Working with Crystal Lake Veterinary Hospital has been a very rewarding experience. I have extreme confidence in Crystal Lake Veterinary Hospital because of the knowledge, experience and ability of Dr. Nick and his entire staff. It gives me great comfort to know that my pets will receive the best possible care with any service they provide. We first went to Crystal Lake Veterinary Hospital because of its convenient location. Seven years later, we're loyal clients because of its high-quality care and knowledgeable and friendly staff. Everyone there has always been compassionate and sensitive to us through both the good and difficult times we've had with our beloved cats and dogs. Thanks for everything! I just want to say thank you for all that you have done for my 10 month old Pitbull, Gemma. After having a severe allergic reaction to a bad bag of dog food, Dr. Nick treated Gemma and helped us get the food manufacturer to test the food. Without the compassion and dedication of all the doctors and staff at your clinic, I am not sure what we would have done. I will be referring all my friends and family to your facility!! As I sit here watching little Lily run around with the other dogs, it makes me say thanks to Dr. Ande for making this possible with her work and recommendations to me. I am so thankful to have such professional people as a reference for my dogs. Thank you Thank You. Taylor, Lily and Allie. Our Golden Retriever was diagnosed with lymphoma back in April 2010. Dr. Nick and Dr. Wegner were both very knowledgeable, thorough and kind. They informed us of all of our options and treatments available. When our lovable boy couldn't fight off the cancer any more the staff and doctors were so kind and sympathetic to our needs and made his final moments very peaceful. Thanks to all the staff and doctors, we will be sure to use the Crystal Lake Vet Hospital for all our future animal care. Thank you, Crystal Lake Veterinary Hospital! For your patience and generosity. For your compassion towards us as well as Zoey. For understanding an animal is not just a pet, but a member of the family. For treating us like a member of YOUR family. Your kindness and caring ways will never be forgotten.